The mission of the Freedom Machine organization is to support recovering addicts by promoting their physical and mental well-being by encouraging a healthier lifestyle. this is accomplished by providing refurbished bicycles that other members of the community have donated. The program has provided bikes to recovering addicts all over the northeast. The Freedom Machine organizes many bike rides and community events every year. Members of the Freedom Machine organization are now planning an exciting new event for 2019. 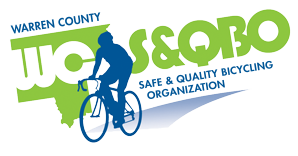 This new, weekend long “Tour de Freedom” event, scheduled for May 10-12, 2019, will offer a wide range of activities for bicyclists and community members of all ages with the Charles R. Wood Park in Lake George the central venue for all activities and cycling events. Vendors will feature bike-related goods and services; Inside Edge will help with time trials; Grey Ghost and Rick’s Bike Shop will provide sponsorship for cycling activities. WCSQBO will assist with registration details and provide support and PR coverage.